The mission at Pets with Disabilities is to promote adoption of dogs with disabilities - this includes providing vet care, a quality diet, love and exercise to any dog at the rescue until they find their new families. But since Duke and Misty (the canine co-founders) were wheelchair dogs, we were drawn to help some very special dogs - dogs that will be spending their lives with us at the rescue. We'd like to introduce you to our "rolling pack" of dogs - they each have remarkable spirits and a zest for life -but, they also need a little extraordinary care. In February 2019, under a bright sunny sky our Megan's final chapter in the physical world ended. No words can describe losing our true canine copartner. Sharing this sad news today is hard, but we all share some wonderful memories of our Ambassador. We will miss her sweet gentle personality, lying in the sun her beautiful eyes looking up in the sky, her confidence, and "The Megan Siren" any change of energy good or bad at her place her siren would go off and we all knew we better get on it quick. Because of Megan so many hounds and blind dogs were rescued and adopted. Megan will be remembered forever and we will cherish our memories and honor her life. So thankful we got that urgent call from a Richmond shelter, as she was slated for euthanasia. Mike jumped in the car and met the shelter manager at a rest stop by Richmond. And the rest is now history for our sweet girl. Rest in eternal peace Megan. 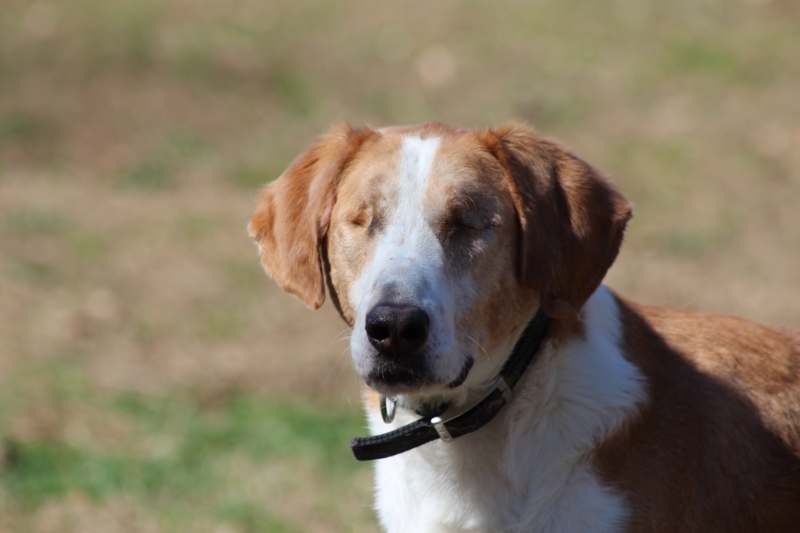 Megan is a lovable hound dog who was born blind and found abandoned and wandering in a lumberyard in rural Virginia. She was scheduled to be euthanized when PWD stepped in on her behalf. Megan’s confidence with her disability and her easy-going temperament helped her not just adjust quickly to life at the rescue, but positioned her as the ultimate PWD ambassador. She fell into a natural but critical role here at the rescue – Megan serves as a mentor for new dogs, comforting anxious new arrivals and testing their ability to get along with other dogs. Her job at PWD is so important because it helps our team evaluate new arrivals. She also has become an alarm to let us humans know something is awry at her rescue; she keeps watch and calls for help when she hears trouble or strangers. Over the years, Megan has had many people interested in adopting her, but she has certainly secured and earned her position here at PWD - she is an important mentor to other dogs and the matriarch of her domain. Meet Ernie – since Duke’s passing, Ernie has become our ambassador of the wheelchair dogs. 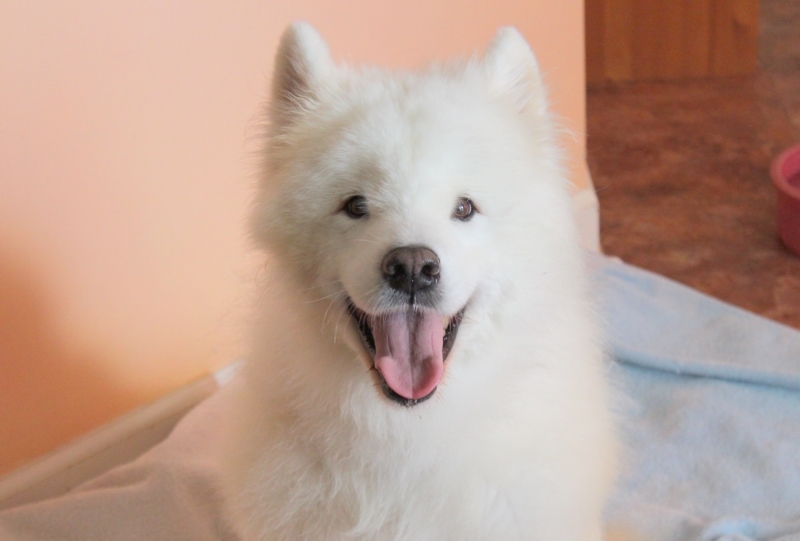 Ernie is a happy, smiling Samoyed who came to PWD at the eleventh hour before facing euthanasia in New England. As a young dog, Ernie injured his back while jumping up on a door to come in, resulting in paralysis in his back legs. Ernie was in the animal hospital for over thirty days when his time was running out; neither his caretaker nor his breeder would take responsibility for bringing him home and caring for him. As a last ditch effort, the hospital contacted PWD for help in saving the spirited 2 year old pup from euthanasia. 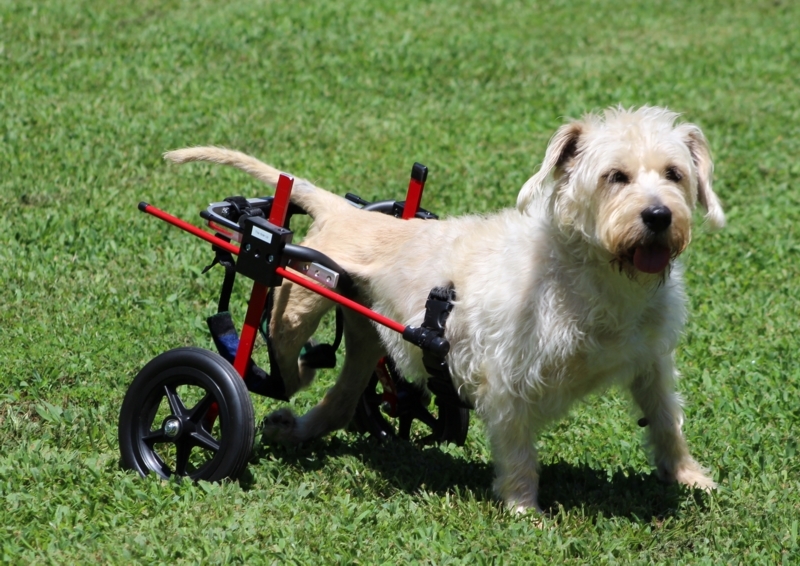 Ernie embarked on a new life as a wheelchair dog with us! We soon discovered that because of his disability and breed, Ernie’s care would be extensive. 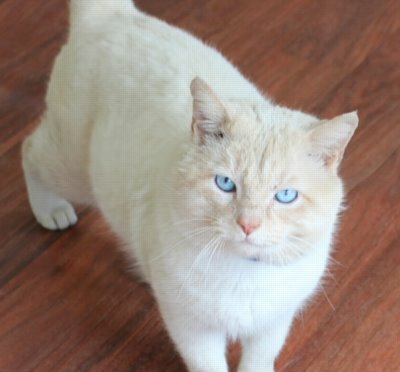 After posting him on our site, we learned it would be very difficult to find him an adoptive home that could adequately care for him, and we decided it would be best for Ernie to remain with us. We are thankful we made that decision, for over the years Ernie has dealt with multiple health challenges. He has needed multiple surgeries, medications, and constant grooming. It is truly amazing that this boy is still sharing his Sammy spirit with us and others – it seems like everyone knows and loves Ernie! Ernie learned to love his wheelchair and has lived a full life. In his younger days, he frequently traveled with Joyce and Mike to raise awareness for adoptable disabled dogs at pet expos. Ernie is now an aging senior dog and generally you can find him lounging with his canine clan or meandering around the grounds on his wheels... and he still enjoys his tennis balls! Is Ernie your "Heart Connection?" Please consider supporting Ernie’s continued care – PWD wouldn’t be the same without this spirited wheelchair Samoyed! Meet our three-legged ambassador, Lucy! Lucy came to PWD from a shelter in South Carolina. She sustained a traumatic injury with her right front leg, and amputation was necessary. Lucy was extremely shy and slow to find comfort in her surroundings. She soon attached herself to Michael, and slowly her personality started to blossom into quite a confident pup. She became a very charismatic and a lover of everyone in her eye line - dog, cat, and human alike! She is extremely alert and intelligent, and loves to play ball with her wheelchair and able-bodied canine crew. 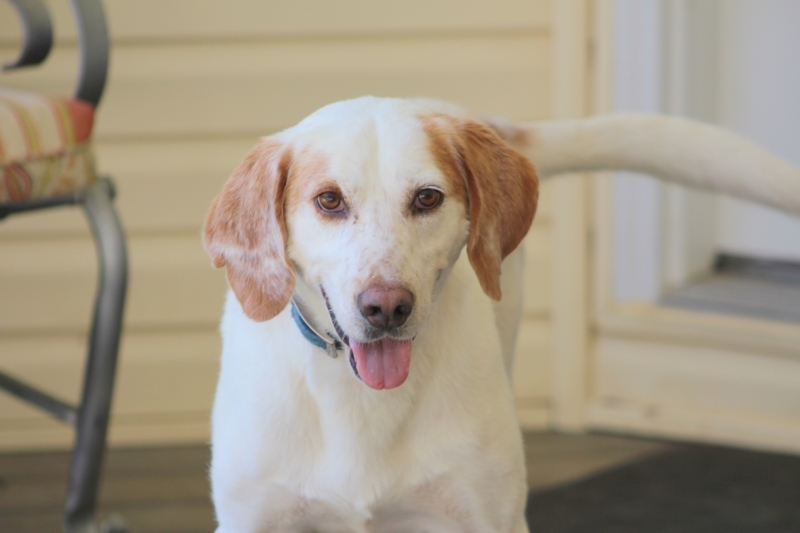 Lucy’s easy-going nature and friendliness make her a great ambassador for three-legged dogs. She attends many events with the PWD founders to help promote adoption of pets with disabilities and spread awareness beyond our current PWD community. Lucy’s forever-home is at the rescue, where we rely on her to help us continue this important work. We are so grateful she came into our lives! Will you find a "Heart Connection" with Lucy? Please consider supporting Lucy’s continued care! 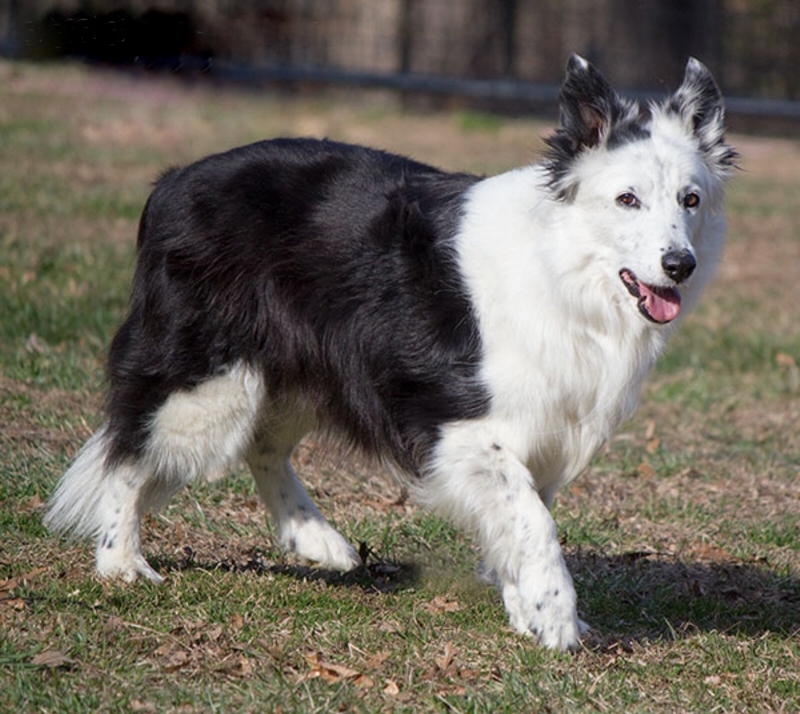 Huey is a deaf Border Collie that came to PWD from our friends at Glen Highland Farm. After rescuing Huey and several other dogs from a dangerous breeder situation, they discovered Huey was deaf. He was only 8 weeks old at the time, and Glen Highland Farm asked Mike and Joyce if they were interested in adopting him. As Huey got settled at PWD, we found a bright and handsome spirit that brought life to the rescue. The start of life was hard on Huey, and as he grew, he began exhibiting some anti-social behaviors such as resource-guarding, meaning he is very protective of food, and over-herding other dogs and humans. 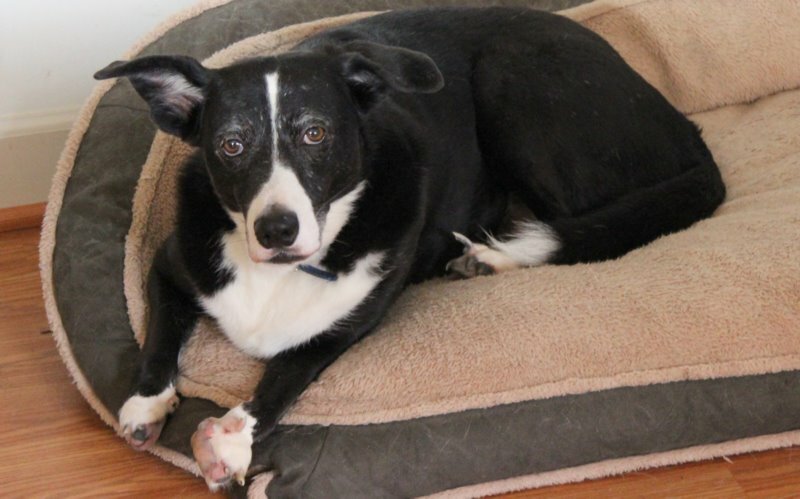 Huey has the high intelligence typical of a border collie, but his behaviors are unusual for his breed and require intervention and management, and thus Huey will continue at PWD as a permanent resident. Huey has truly found his place at PWD – he is our first pup to learn to respond to sign language, and he has found a confidence in his best canine buddy Lucy who provides him a sense of security. Huey adds a special dimension to the house – his energy and dynamic spirit infuse life into the rescue and keep us all moving! Will you have a "heart connection" with Huey? Please consider supporting him, PWD’s ambassador for the hearing-impaired pups! Charlotte came to us as an extremely abused and over-bred pit-bull who had no use of either of her back legs. We are not exactly sure how Charlotte became so handicapped, but what we do know is that poor Charlotte was living in terrible circumstance: when she was no longer able to breed, she became useless and was placed in a dark isolated closet for YEARS! When Charlotte arrived at PWD, the great veterinary teams we work with found that she had sustained injury to her front shoulder, rendering a front leg partially immobile as well. This precluded her from benefiting from a wheelchair, and without options for improving her mobility, we focused on helping Charlotte adapt to routine and manage her own space. Because of the extent of her disabilities and care requirements, Charlotte is not a candidate for adoption, and will continue to live here at PWD. Charlotte is an incredibly loving and good-natured dog who enjoys basking in sunlight, her morning “walks” in the wagon around the rescue, and quality time with her loyal crew of visitors. She is the old soul among us at PWD! We love Charlotte and are so happy a Good Samaritan came forth to get Charlotte out of her situation. She is a true testament to the pit-bull breed, so kind and loving, and maternal to the other wheelchair pups she now shares her days with. Will you have a "heart connection" with Charlotte? Please consider supporting Charlotte’s care – we are so grateful for the opportunity to give her a better life! Hank came to PWD from our friends at Regional Animal Shelter with a missing paw, which he most likely lost to a hunting trap. 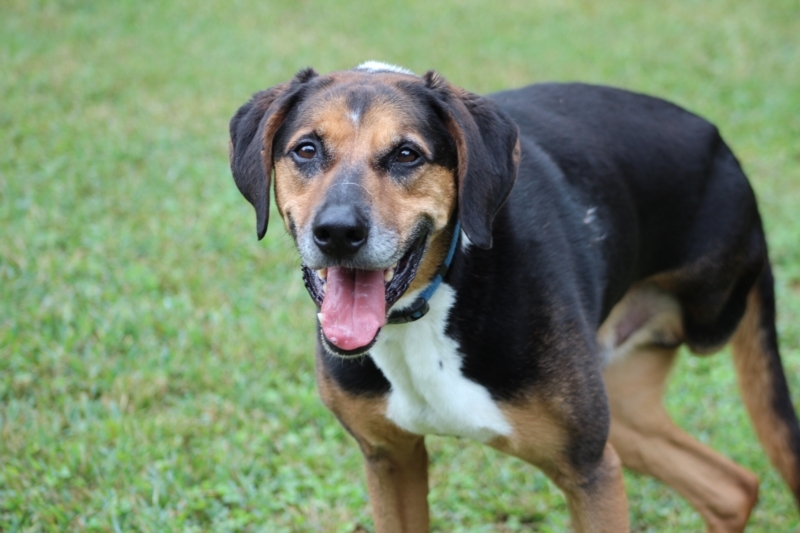 Hank is a typical good-natured hound dog who enjoys all the good things in life: “his pack,” any and all food, sunbathing, and being outdoors. He is a natural protector and companion to the most vulnerable dog souls – you will often find him cuddling with Charlotte on the porch, relaxing with Pierce in the house, or sleeping on a dog bed with one of our resident felines. Hank was designated as a PWD resident because despite his great personality, he also exhibited some serious destructive tendencies. Hank’s love of chewing extends beyond toys to sofas, wooden furniture, carpets, and anything else in his path. In his early days at the rescue, Hank had to spend a lot of time in his crate because he couldn’t be trusted alone. Luckily, in time we were able to understand his tendencies and develop a routine that keeps destruction at bay, and Hank no longer in a crate! We are grateful to have this incredible warm soul in our PWD family. Will you find a "Heart Connection" with Hank? Please consider supporting Hank! PWD fit Dixie for a wheelchair and helped her to get acclimated. Dixie is a fabulous example of a dog whose life is enhanced daily by her wheelchair. 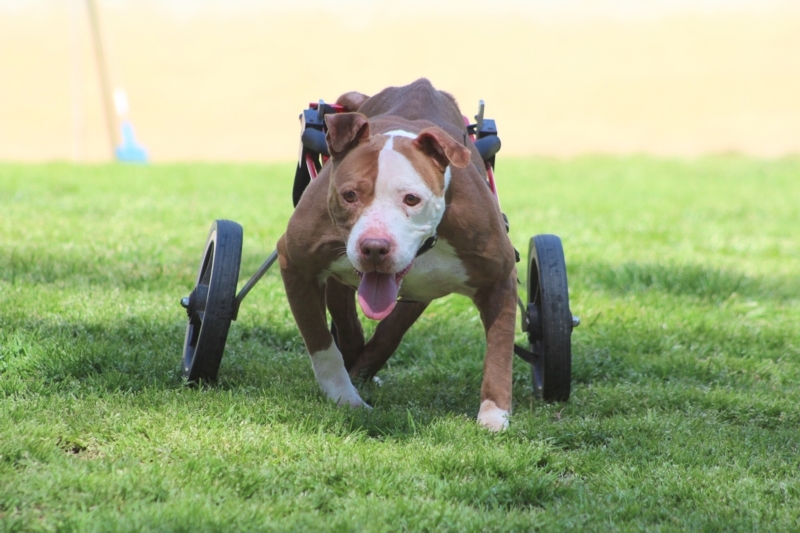 You can see her zooming around the rescue every morning, as she loves to run and requires the wheels to avoid injury to the lower half of her body. She also loves spending time with her buddy Ernie and snuggling her face into freshly laundered blankets when it’s time to relax! As an aging senior, Dixie’s medical care has become more complicated and costly in recent years. Dixie developed kidney complications around age 12 and requires routine blood and urine analysis with our internal medicine doctor. She is on a special diet and medication to help her kidneys stay healthy. Despite her ailments, Dixie’s terrier spirit is alive and well, and she maintains a positive “life is good” attitude. She can be a bit bossy at times, but we love it because we know that means she is feeling GREAT! Dixie needs your "Heart Connection". Please consider supporting Dixie’s continued care! Her medical costs total roughly $100 each month. Pierce came to PWD from a horrifying situation; he, along with dozens of other dogs, was held for three years, pending an animal cruelty court case in Pennsylvania. During this time, the dogs did not have access to time outside or human or vet intervention. In the final six months of the court case, a wonderful group of volunteers were allowed into the shelter to help socialize the dogs, and once the case was settled, help to get them out! Pierce was born with deformed paws, likely a result of inbreeding. But more than that, Pierce’s fearful and shy temperament resulting from isolation was something he would never overcome. Prior to his arrival at PWD, he had never eaten from a bowl, slept on a bed, or experienced the care of humans in a positive way. Pierce was essentially feral and required time and patient coaching to get accustomed to his new life in a home. His safe haven was the PWD barn, and then our home, where he has flourished in small ways. Pierce revealed himself to be a sweet pup that loves cats and cuddling with trusted humans, and he has thrived in his own way. Because of his difficult past, we find that Pierce requires consistency in order to strengthen the sense of security and the social skills he has developed, and it would be in his best interest to call PWD his forever-home. Pierce is now 12 years old and experiencing some health challenges that affect his mobility. Sandy is an eight-year-old German shepherd mix with fused vertebra that limits the use of her back end. Sandy was abandoned on the streets of Baltimore. Thankfully Sandy’s neighbors rallied together to care for her and finally we were called to help find her a new forever home that could handle her disabilities. 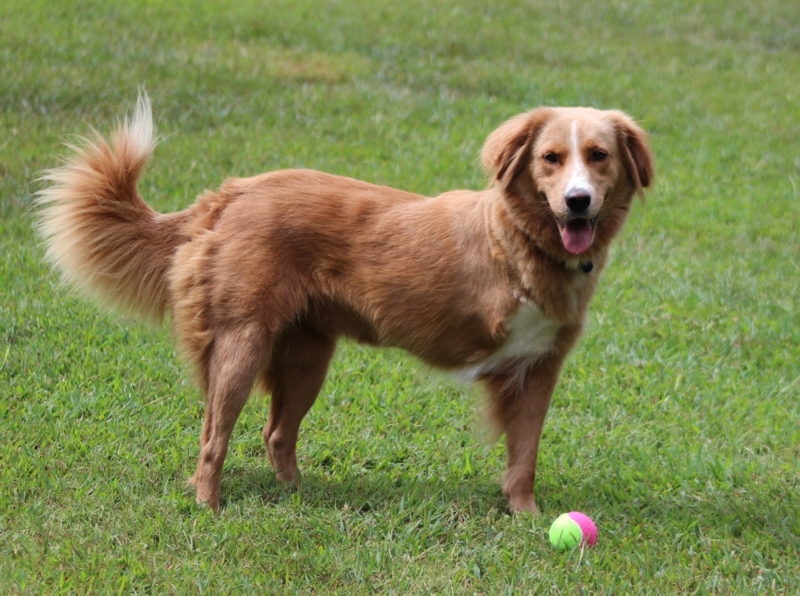 We found Sandy has an energetic personality with a zest for life… and chasing squirrels! Sandy’s back end is not always working in conjunction with her front end, so it will slip out from underneath her as she is walking or running – Sandy has adapted to her disability and taken to “scooting” her way around! 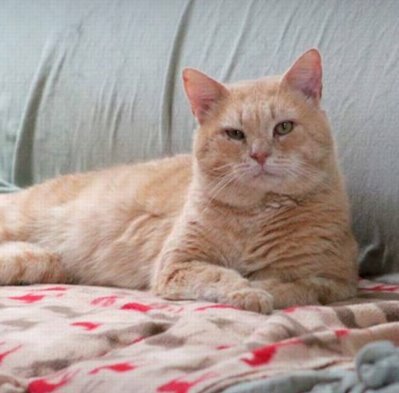 Sandy was available for adoption for about 18 months, and her sweet personality and keen intellect sparked a lot of interest from the adopter community, but Sandy’s weak control over her bladder and bowels combined with her limited mobility create a real challenge for any household. We decided that Sandy would remain at PWD where we could give her an environment conducive for scooting and a place she could call home. 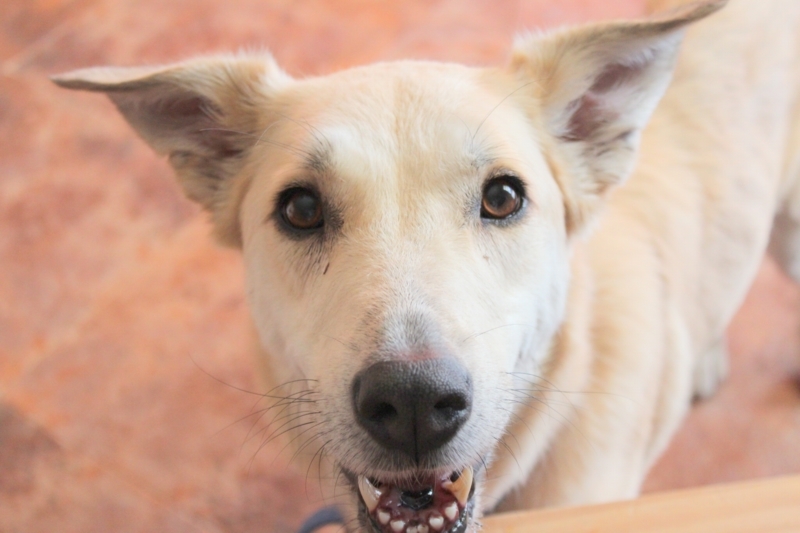 Sandy meshed immediately with her group at PWD, as she is a great friend to both dogs and humans. True to the Shepherd in her pedigree, she is very alert and a dedicated guard dog – each morning, she examines the perimeter of the rescue and lets Joyce know what is going on before she starts the early morning routines! Will you be Sandy's "Heart Connection?" Please consider supporting Sandy’s continued care. We are happy to be Sandy’s second real home and grateful for her loyalty and protection! Meet Blaze, a special soul and endearing oddball. Blaze came to PWD with extreme fearfulness and eye trauma that had resulted in his blindness. The shelter caring for him observed his anxious behaviors and believed a rescue might be able to rehabilitate him, and they called upon PWD to help Blaze. Since coming to PWD, we and our vet team discovered several big struggles that Blaze was facing. First, his eyes were causing him great pain and both required total enucleation. Blaze was also extremely destructive upon arriving at the rescue, an offshoot of his extreme anxiety. We started him on Prozac, which in combination with a structured routine and time, has help curb his anxieties and destructive behavior. Blaze was also diagnosed with kidney disease, which has been managed by a special kidney diet and medications. He will need to remain on this special diet for the remainder of his life. Blaze requires routine and stability in his environment and is slow to develop trusting relationships with humans or adapt to any change. Because of this and his ongoing medical needs, Blaze will remain with PWD as a permanent resident for the remainder of his life. Blaze is looking for several "Heart Connections". His needs require a special diet and ongoing medications that exceed $100 per month. We are grateful to provide Blaze with a safe space in which he can continue to thrive. Kobe came to us with a broken leg in need of repair and rehabilitation. PWD took on Kobe’s cause and found his medical issues to be much more complicated than we could ever have imagined! Kobe came to us very thin and he struggled to gain weight. Our internal medicine doctor diagnosed him with GI disease that requires a specialized diet and many medications. He also has bimonthly visits to his doctor for medical management. In addition, Kobe suffers from major orthopedic issues beyond his broken leg; his back half of his body seems to not always be in sync with his front half, a great struggle for a now 70 pound dog. And on top of his physical struggles, Kobe displays some mistrust of other male dogs. PWD had hoped to find Kobe a new home while supporting him financially, but the combination of his temperament and medical issues make adoption difficult. We have decided that PWD is the best place for Kobe. He will remain here at the rescue as a permanent resident where you can find him laying on the porch with Siri, or adventuring in the PWD yard. Kobe is hoping for several "Heart Connections" - Please consider supporting Kobe! His ongoing medical issues and special diet cost over $200 per month, but watching him become medically stable and begin to thrive in his environment has been very rewarding. We are happy to have Kobe in our canine pack! Siri was a stray found on the city streets. She was blind, and had a broken jaw and gaping wound in her head. Her injuries seemed to stem from blunt force trauma, a product of human-inflicted cruelty, and we knew if she was going to survive she needed urgent medical assistance. Siri was emaciated and refusing food due to a head injury and infection in her nasal cavity. Siri was evaluated and stabilized, treated for infection, and scheduled for surgery. She underwent two different major surgeries; the second successfully closed her wounds and set her on her way to recovery. Siri required meticulous care to allow her body to heal and her spirit to reinvigorate. Siri’s veterinary expenses were extensive but have proved to be a great success. We are happy to report that Siri is healthy and enjoying her time and routines at the rescue! Siri is an independent spirit and a true survivor. 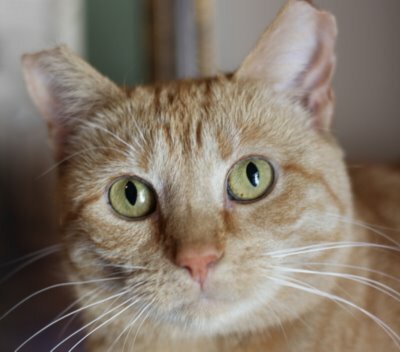 We had hoped to find Siri a new forever home with a great adopter, but she remains extremely fearful of new humans and skeptical of changes in her surroundings, which pose a great challenge to bonding with a new family. She cannot be confined and loves to be outside for the majority of day. Siri will remain at PWD where she can feel in control of her life and domain, and continue to build her confidence with humans. She loves the rescue yard, and we love to watch her prance her now 40 pound body across the field with confidence and joy. After her stroll around the yard, you will find her sound asleep in a bed of leaves or on a cozy blanket on our porch. She also has made it made it quite clear that her feeding schedule needs to be adhered to, as well. She is truly one unique dog. The deck had been stacked against her throughout her life, but Siri managed to get herself out of hell. We love telling Siri’s story, and are grateful to our supporters that we were able to give her the chance she needed. And WOW, it sure is a thrill to see her doing so great now! Will Siri be your "Heart Connection?" Please consider supporting Siri! 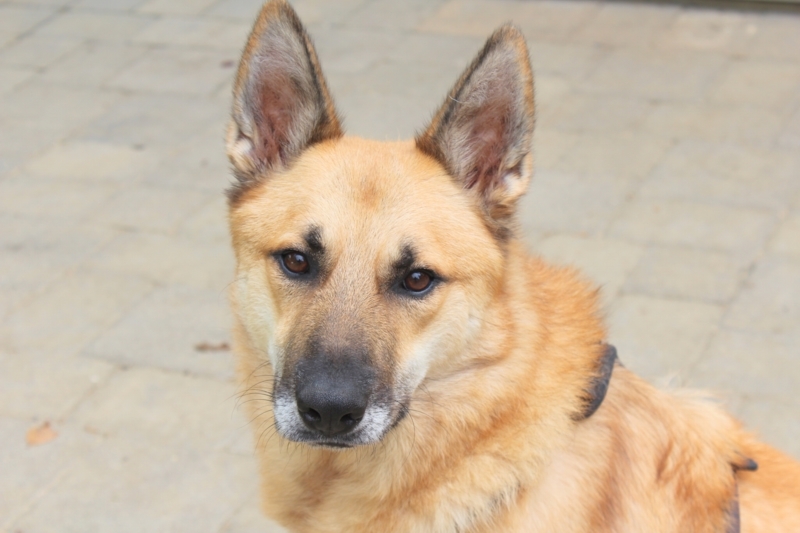 Maverick is a German Shepherd mix who came to us from a fellow rescue organization after contracting (and surviving) distemper, a serious viral illness that affects puppies and unvaccinated adult dogs. The virus attacks their lymph nodes, respiratory and GI systems, and eventually their nervous system. Maverick was very lucky to survive this illness, but suffers from seizures and neurological complications as a result. Maverick’s rescue organization asked PWD to take guardianship of him while their proprietor focused on battling a personal illness. Maverick requires a strict routine, consistent diet, and several medications to manage his seizures; changes to these elements can exacerbate his condition. He is also prone to unusual behavior quirks that can be startling. In his time with the PWD family, Maverick has found his groove and loves his routine in his wonderful foster caretaker’s home. Maverick was adopted for about a month, but rigid scheduling and environmental requirements proved to be too big a hurdle, and he returned to PWD. Because of these special needs, Maverick will remain in PWD’s care for the foreseeable future. Will you become a "Heart Connection" for Maverick? Please consider supporting Maverick! We are proud to lend a helping hand to our fellow rescue in need, and so happy to see Maverick thrive in our care. Gilda was a stray who made her way to an inner city shelter; she arrived with a huge mammary tumor the size of a cantaloupe that made it very awkward and difficult for her to walk. 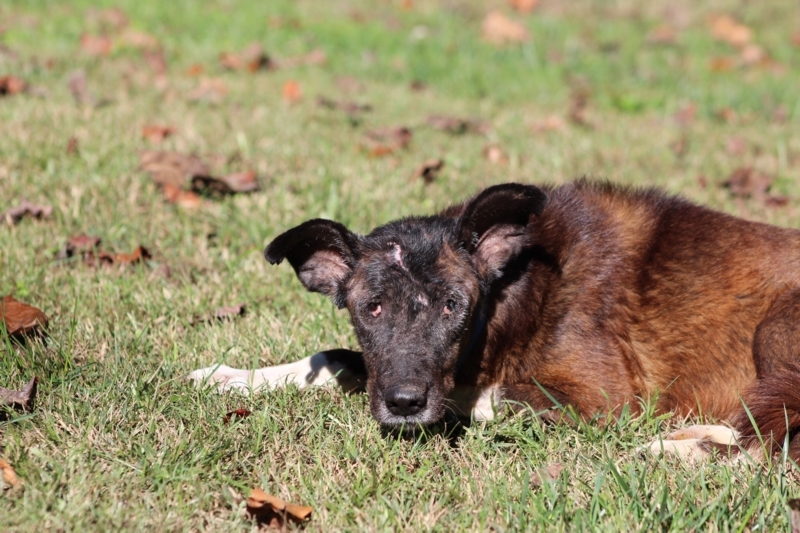 It was very hard for the shelter to find an appropriate adopter to take on her medical needs. We were at that shelter to rescue another dog in need, and this girl caught our eye; we knew we had the ability to get her the help she needed and decided to bring her back to PWD. Gilda underwent tumor removal surgery, which revealed that she has an aggressive cancer that already showed signs of spreading into other organs. We switched our focus to keeping her comfortable and started her on low-grade medications aimed at keeping her cancer at bay. Gilda has taken on the role of protector of her senior clan here at PWD, remaining alert and inquisitive of any action or visitors in her home. She has become very comfortable in her space and is currently maintaining her health and lifestyle beautifully. We fear that moving her could upset this delicate balance, and so have committed to supporting Gilda as a permanent resident here at PWD. 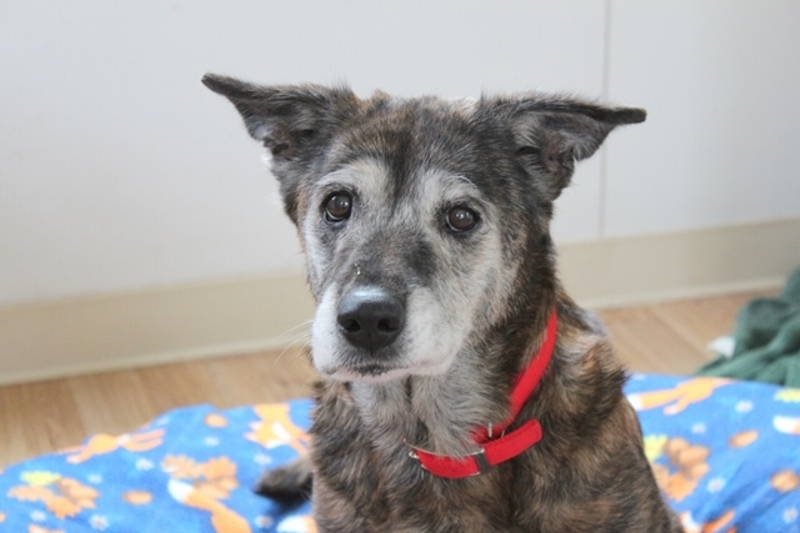 Please consider a "Heart Connection" with Gilda and help us support her, a sweet dog who deserves the comforts and care of a home here at PWD. 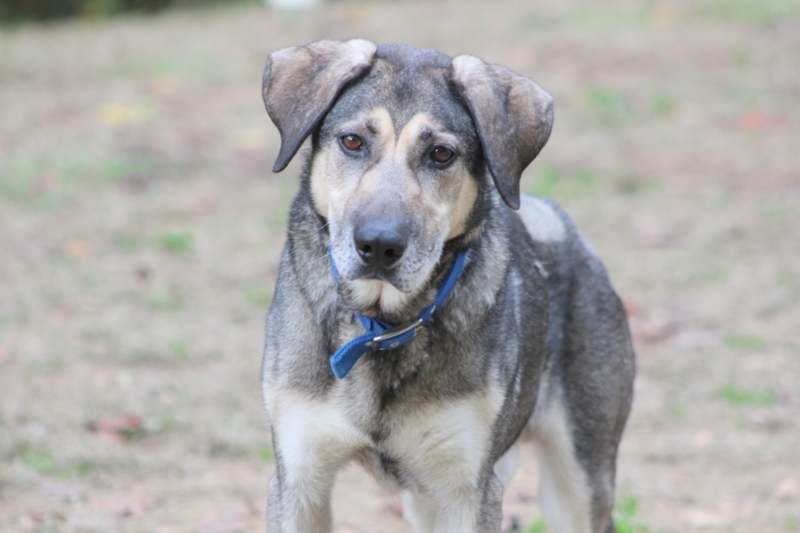 Clyde is a Shepherd/Hound mix who came to PWD from a terrible hoarding situation. Clyde was living in an area with bigger dogs when one jumped on him causing irreversible nerve damage that went untreated. His left back leg dragging, a huge infected wound developed on his leg, and amputation was required. Although he can still walk, Clyde has no control over his bladder or bowels. He warmed up quickly to his new surroundings at the rescue, but remains very fearful of bigger dogs and humans too. Because of Clyde’s ongoing medical issues and temperament, it became clear it was in Clyde’s best interest to continue as a permanent PWD resident, where we can manage his pain and interaction with other dogs. He has become very content in his apartment at the rescue and looks forward to his daily routines – especially his peanut butter bones and mealtimes! Clyde is certainly a trooper and handles his three-legged ableness as best as he can! Are you Clyde's "Heart Connection"? Please consider supporting Clyde’s continued care here at PWD – we are so appreciative that we are able to give him this new chance at life. Benny was relinquished by a beagle breeder to PWD; once he became completely blind he was no longer of use to any hunter and off the market. Benny was diagnosed with bilateral cataracts, and was a great candidate for surgery – we were fortunate that the doctors at Animal Eye Care were able to successfully make him partly visual! 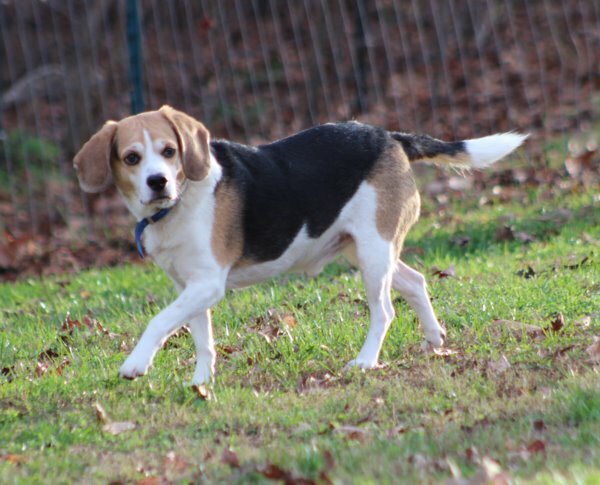 Benny was then adopted into a loving beagle home, where his congenial personality was able to shine. You could generally find Benny playing with his fellow dogs or relishing in the attention of his caretaker, or barking to ask for a quick snack. After the untimely death of his adopter, Benny returned to PWD to live his life as part of the rescue family. Many beagles are in need of a home, and we are grateful his adopter championed Benny’s cause for so long, and we are happy to continue that work. Benny is a young senior pup and starting to experience some medical issues, and his eyes still require yearly exams. He is a joy to have here at PWD… a complete chow-hound who loves his bed and the company of other dogs and cuddling with humans. His blindness definitely led him to a better life! 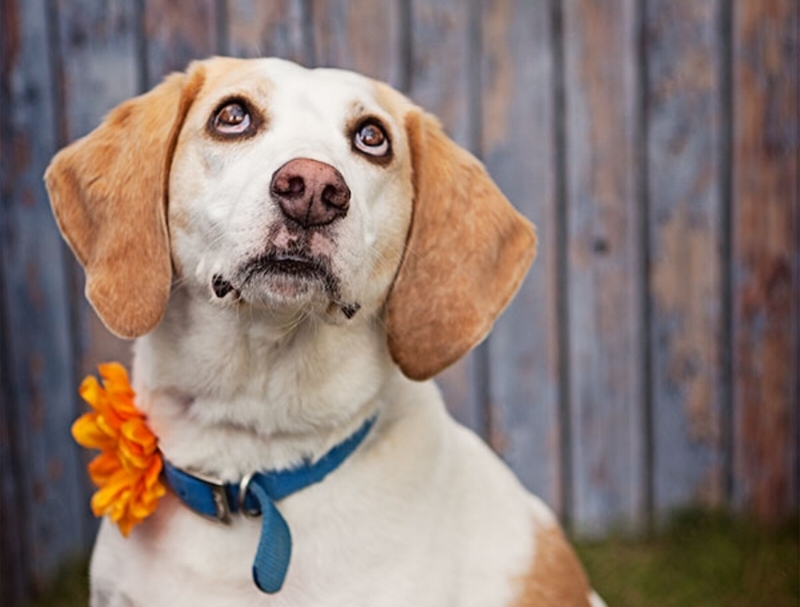 Meet Harley, a blind beagle with a forever-wagging tail and adventurous spirit. Harley came to PWD from a military family moving overseas, who did not have the ability to take him along. At PWD, we met a curious beagle who refused to let his blindness get in the way of his explorations or easy breezy take on life. 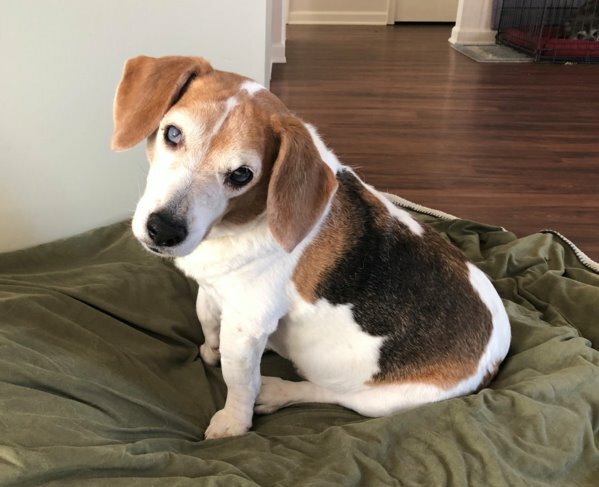 Harley was adopted into a great beagle-loving household where he loved to spend his days exploring his yard and laying in the sun with his canine and human family. He was known as the nurturer of his pack, always showing affection for his beagle buddies. After his caretaker’s unexpected passing in 2016, PWD welcomed Harley back into the rescue family, where he will be cared for throughout the remainder of his life. Many of our dogs will encounter feline family members in their new homes. We make every attempt to test the dogs and set appropriate expectations for the new family in many areas, but specifically if they can live in harmony with a cat. FIV cats are unnecessarily overlooked in shelters - like many dogs with disabilities. 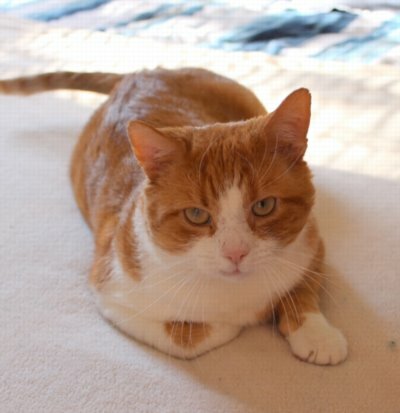 We have adopted several FABULOUS FIV cats over the past 15 years. Each have offered their services as "cat tester". 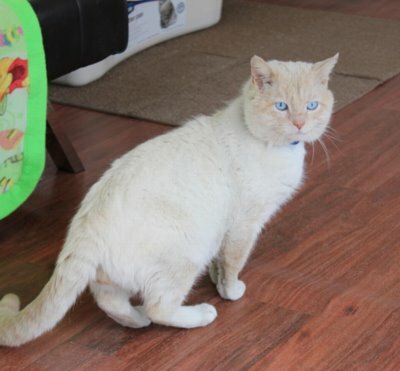 FIV cats need wonderful homes too! Do your research, have an open mind and heart and find a new family member at your local shelter. Tommy is our resident Ruler of the Roost in our founders’ home! 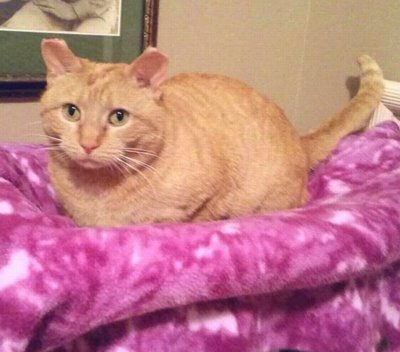 Tommy came to PWD from a local shelter after testing positive for FIV. 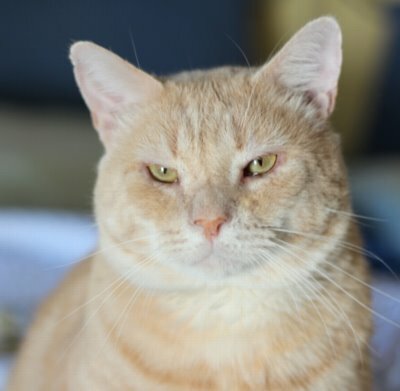 Tommy fit right in with the PWD clan, both as a feline socializer for new PWD dogs, and also as an entertaining presence who is always on the lookout for extra snacks! What a lovable cool tomcat! 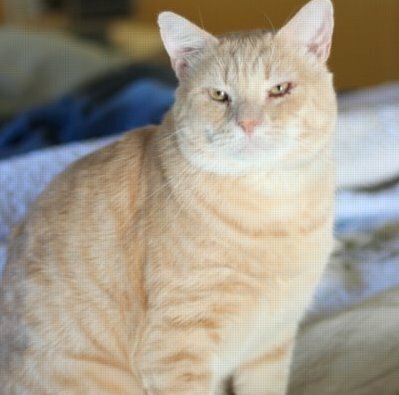 Pumpkin came to us from a local vet office – Pumpkin arrived there and the office staff immediately fell in love with her. 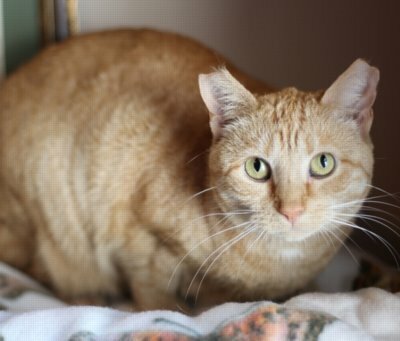 Pumpkin tested positive for FIV and had sustained a pelvic fracture, which generally means euthanasia, and the office worked diligently to help find her a place to go. Luckily, we were in the position to bring her into PWD. Pumpkin was extremely fearful of everyone and everything. Over time, she has certainly found her place and is beginning to come out of her shell, through the help of the other cats. You can find her cuddling with her buddy Newman and constantly seeking out more and more human attention. What a great addition to the feline family here at PWD! 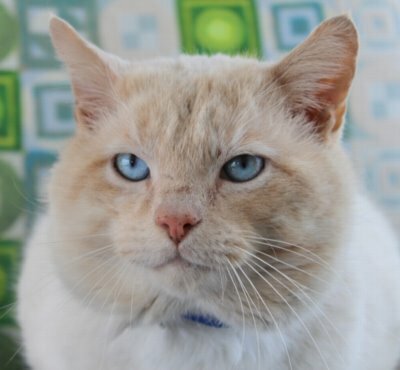 Newman arrived at PWD from a shelter in Maryland where he tested positive for FIV. Newman fits right in with his fellow dog and cats in our founders’ home. He is very affectionate and a great asset in assessing new dogs’ abilities to get along with felines… we are lucky to have this beautiful blonde guy here at PWD. 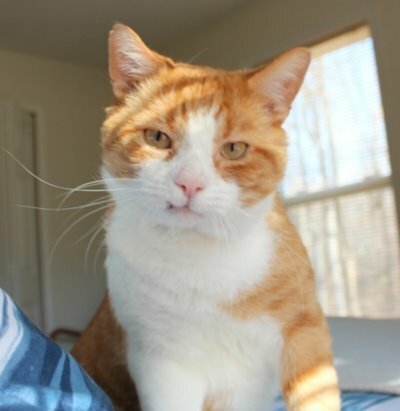 Reggie was rescued from a shelter in Baltimore City; he was an older cat who tested positive for FIV and needed a FIV-friendly rescue to step up on his behalf. When Reggie arrived at PWD, he was terrified of dogs and suffering from cuts and bruises and a deep slash in his face. We worked hard to socialize him, a painstaking process that was well worth the effort, as Reggie is living the life at our senior sanctuary – he sure is king of the (dog) pack! 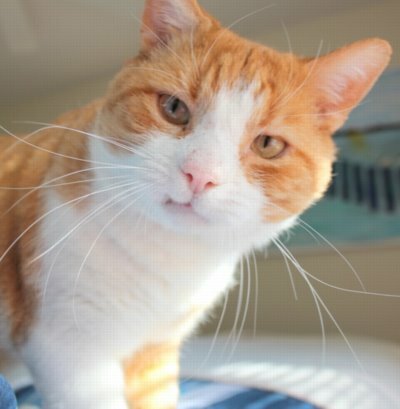 Reggie is a friendly cat who has been able to really find his footing here at the rescue. Our feline friends are also looking for a "heart connection!" Please consider supporting the care of our cats living with FIV here at PWD! We are grateful to be able to offer a home to these wonderful animals that often go un-adopted.